It is important to take care of the details and plan well before embarking on an adventure to the Wonder of the world. That’s why we prepared a didactic summary on how to plan the trip to Machu Picchu. And, of course, we offer some tips on how to make the most of your dream vacation. How to plan the trip to Machu Picchu? How to get from Cusco to Aguas Calientes? How to get from Aguas Calientes to Machu Picchu? How to buy the Machu Picchu Ticket? How is the tour of Machu Picchu? What do I need to take to Machu Picchu? Where to sleep in Aguas Calientes? How much money to take to Machu Picchu? To travel to Machu Picchu with more freedom and lower budget, buy the entrance ticket directly on the internet. The other option is to hire a tour. To plan the trip to Machu Picchu, first decide the season in which you will visit Cusco in Peru. There are 2 stations in Cusco: the dry season (from April to October) where there are not many rains and the rainy season (from November to March) where rainfall is more frequent. The dry season coincides with the high season of tourism. During the rainy season is when fewer tourists visit Machu Picchu. Once you have decided on the date you wish to visit the Wonder of the World, buy tickets to Machu Picchu in advance. Make the reservation of the entrance Machu Picchu with time in advance. So you can better plan tours, hotel reservations, trains, flights and more. If you are going to do the Inca Trail, make your tour reservation 4, 5 or 6 months in advance. The entry ticket to the Huayna Picchu Mountain must also be purchased up to 3 months before. Remember to have your passport and identity document in order: check the expiration date. During the dry season (from April to October) it is the best time to travel to Machu Picchu. At this time it is prudent to wear a hat, cap, sunscreen, sunglasses, insect repellent and rain poncho (in case of rain). It is worth mentioning that from November to March is the rainy season. During those days, it is recommended to carry an umbrella, a waterproof poncho and non-slip shoes. In the dry season, Machu Picchu has an imposing landscape of blue sky. In the rainy season you will have a greener landscape. There are three possible ways to get to Aguas Calientes, also known as Machu Picchu town. The Inca Trail – 4 day hiking trail. It will lead you directly to Machu Picchu through the Puerta del Sol ( Intipunku ). You will need to contract the services with a travel agency. The route by train – This route combines travel by bus and train. The first section goes from Cusco to Ollantaytambo by car. The final part is from Ollantaytambo to Aguas Calientes by train. The route by Hydroelectric – This alternative route begins with a long trip by car from Cusco to the Hydroelectric station. From there you can walk or train to the town of Aguas Calientes. The most recommended way to get to Machu Picchu is by train. However, if you are looking for an adventure the Inca Trail or the route by Hidroeléctrica are good options. To travel by train, book your ticket online a few weeks before or after knowing the date you will visit Machu Picchu. If you want to do the Inca Trail, you have to separate your tour several months in advance. Aguas Calientes is a special town so it is recommended to spend at least 1 night in this place. So you can visit Machu Picchu early in the morning. To get from Machu Picchu to Aguas Calientes you have 2 options: one totally free and the other through a bus trip. Go up walking – Consists of a path composed of stone stairs. The ascent lasts 1 hour on average, time that depends on the physical condition of the tourist. The difficulty of the ascent is moderate – medium. Go up by bus – The buses start to go up from 5.30 am It is the option that most travelers choose. The journey is about 30 minutes. If you decide to get on bus, you do not need to buy the ticket online. You can do it in the same town of Aguas Calientes. If you are going to walk up, follow the steps that cut the mountain paths. The best time to do the walk is before the sun comes up. How to buy the Ticket Machu Picchu? It is recommended to buy the Entrance Ticket to Machu Picchu and the train ticket before starting your trip. The Ticket Machu Picchu is valid only for one day. If it is not used there is no possibility of exchange or refund. Machu Picchu Only – This entrance will allow you to visit the Inca City of Machu Picchu. It is recommended to buy it weeks in advance. Machu Picchu + Huayna Picchu – The ticket includes the entrance to Huayna Picchu as well as Machu Picchu. The income is restricted to 400 people per day. The ticket must be purchased 2 to 3 months before the trip. 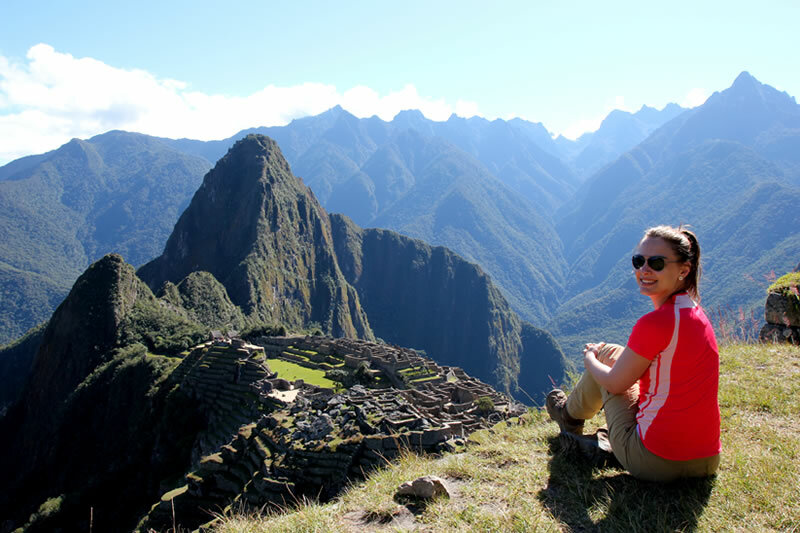 Machu Picchu + Mountain – The ticket allows you to visit Machu Picchu and tour the Machu Picchu mountain. The number of tickets per day is limited to 800 spaces per day. The ticket can be bought day before. Machu Picchu + Museum – This entrance will allow you to enter Machu Picchu as well as the Manuel Chávez Ballón Site Museum. The ticket must be purchased days in advance. The purchase of any of the ticket types Machu Picchu is online. Remember that you can pay with Visa or MasterCard. There are tourist agencies that offer ticket sales through their web pages. However, you can also do so with the official website of the Ministry of Culture of Peru. Making the purchase is easy: you just have to register your information and make the payment by card. The most important thing is to find free availability. The entrance Machu Picchu + Huayna Picchu must be bought 2 or 3 months in advance. If not, it’s sure you will not find availability. What are the entry times to Machu Picchu? Group 1: entry from 6 a.m.
Group 2: entry from 7 a.m.
Group 3: entry from 8 a.m.
Group 4: entry from 9 a.m.
Group 5: entry from 10 a.m.
Group 6: entry from 11 a.m.
Group 7: entry from 12 p.m.
Group 8: entry from 1 p.m.
Group 9: entry after 2 p.m.
Group 1: entrance from 6 a.m. / entrance to Waynapicchu from 7 a.m. to 8 a.m.
Group 2: entrance from 7 a.m. / entrance to Waynapicchu from 7 a.m. to 8 a.m.
Group 3: entry from 8 a.m. / entrance to Waynapicchu from 10.30 am to 11.30 a.m.
Group 1: entry from 6 a.m. / entrance to the Mountain from 7 am to 8 a.m.
Group 2: entry from 7 a.m. / entrance to the Mountain from 7 am to 8 a.m.
Group 3: entry from 8 a.m. / entrance to the Mountain from 10.30 a.m. to 11.30 a.m.
Machu Picchu + Museum – The same 9 timetables of the Machu Picchu ticket. At the entrance checkpoint, you will receive a map of Machu Picchu. There are the routes where you can make the journey. The tour is accompanied by a tour guide. The service lasts approximately 2 hours. The route is made through asymmetrical and elevated steps. You have to be calm and prudent, taking breaks. The physical effort made produces dehydration, so it is necessary to carry water. If necessary, you can carry a walking stick with a rubber tip. Once inside the Inca City, you will not find hygienic services so it is recommended to take the precautions of the case. At the entrance door there are toilets where you will also find a cloakroom. During the ascent to Huayna Picchu you will find steep stone steps. The climb path is about 1 hour and 40 minutes up and 1 hour back. The climate of Machu Picchu varies according to the seasons. It is essential to use good slip-resistant shoes with a thick sole. If you visit during the rainy season, it is important to bring waterproof clothing, poncho or umbrella. If you visit during the dry season it is important to take care of the skin so it is necessary to bring caps, sunglasses, mosquito repellent and sunscreen. In addition, removable pants are a good option for sunny days. If you want to stay in Aguas Calientes, you can find a variety of accommodation in different categories from 2 to 5 stars. Likewise, there is a wide range of restaurants, pubs, bars and other places where you can spend a pleasant time. Machu Picchu Pueblo has thermo-medicinal baths that come from the sub-soil and are distributed in several pools. The official currency of Peru is the new Peruvian sol “S/.” The notes have the denominations of 10, 20, 50, 100 and 200 nuevos soles. Inside the airports there are banks and money exchanges where you can convert your money into ‘Peruvian soles’. In Cusco, the US dollar has good acceptance although euros are also accepted but you should be aware of the variations in its value. Make sure your money is in good condition, without breaks and without any written mark. In some establishments that money is not accepted. You can find automatic teller machines (ATM) easily in the city of Cusco and Aguas Calientes. In the city of Cusco there are also plenty of money exchange houses. The most used foreign currency is the US dollar. The majority of banks and exchange rates are in the El Sol avenue, near the Plaza de Armas of Cusco. The most used credit cards in Cusco, Peru are: Visa, MasterCard, Diners Club or PayPal.